Certified bookkeeper Owen Sinclair has helped manage the budgets of several organizations in the New York Area. In his personal life, Owen Sinclair is a long-time dog lover with an interest in supporting the work of animal welfare organizations such as the Humane Society of the United States. In its efforts to end animal cruelty worldwide, the Humane Society of the United States (HSUS) oversees a variety of campaigns, including one focused on closing puppy mills and rescuing dogs that have been bred or raised in such facilities. 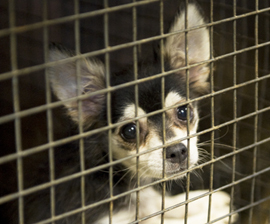 Because puppy mills are subject to minimal regulation, much of HSUS’ work in this area is directed toward promoting legislative changes that would address humane care issues in large-scale breeding facilities. Additionally, HSUS promotes public awareness and education about puppy mills and works to recognize anti-puppy mill advocates working in communities nationwide. Each year before Valentine’s Day, the organization awards 14 individuals its Advocates We Love Awards, which are given to those who have rescued dogs, organized events, helped pass local laws, or contributed to its Puppy Mills Campaign in other ways. HSUS recently announced the names of the 2017 Advocates We Love Award winners on its Facebook page. To find a link to the page and learn more about HSUS’ efforts to improve commercial animal care, visit www.humanesociety.org.